So, you’ve been making movies for a while now; maybe it’s just home videos, maybe you’ve made your own short film, or maybe you’ve even been working with clients for a year or two. Here’s 11 steps to help you hone your filmmaking skills, that go far beyond just watching a lot of movies and practicing. Much like solving a problem, the first step to improving upon your skills is to realise that there’s room for improvement. Gather up all of your films, get a notepad, and sit there for a couple of hours just jotting down everything that you think could be better. Most filmmakers tend to skimp on the writing when starting their career, but all of us have faults all over the place. Look at your stories, your dialogue, your cinematography, your editing and your sound, and then ask yourself: is this something I’d pay $15 to see at a cinema? Is it a piece of art, a carefully orchestrated ensemble of visuals meant to express an emotion or an idea, or is it defined by the constraints of my location and my budget, directed to a greater extent by luck than by myself? 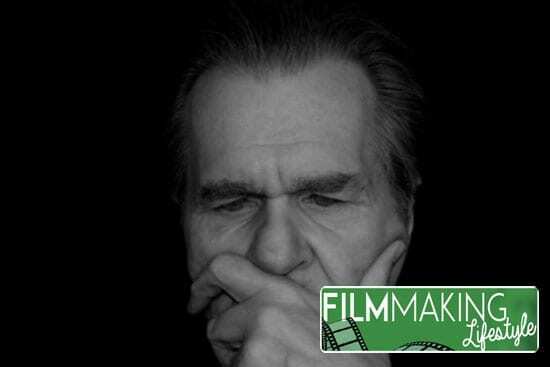 Once you define the key problems of your filmography, you can start fixing them. One of the most dangerous routes to self-sabotage is to try to reinvent yourself over a single night. 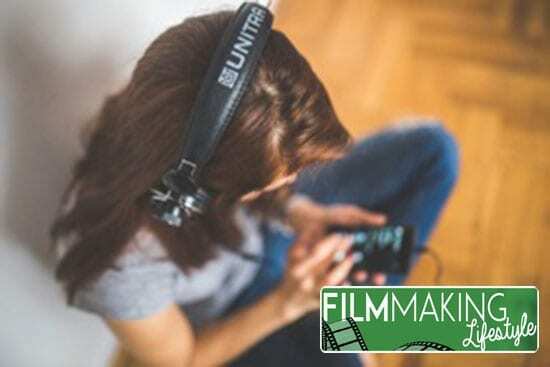 Instead, what you should do, having narrowed down the skills which you’d like to sharpen, is to create targeted short films in which you only focus on a specific area of filmmaking. If you’re short on creativity, try competing in online contests like Film Fights or Film Riot’s Monday Challenge. or a fight scene shot on a tripod. In the words of Orson Welles, “the absence of limitations is the enemy of art.” Innovation is born out of the need for alternative solutions to simple problems. No matter how you do it, it is important that you spend enough time on each skill, before trying to combine them all into one project. By the time that’s needed, it should be entirely intuitive. One of the cheapest and best purchases you can make is a small lined notebook. Simply pick a brand you like — I’m a fan of Field Notes myself, but any stack of papers will do the same job — and always carry it around in your backpack or jacket pocket, as your dedicated ‘feedback logbook’. 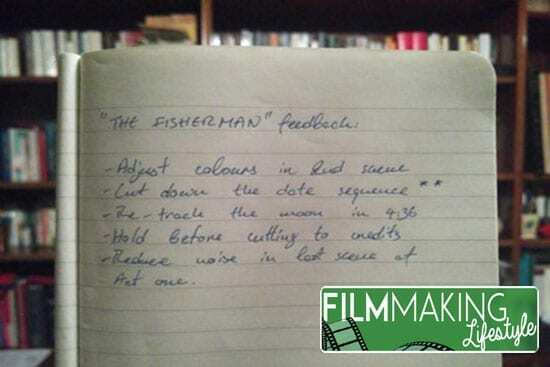 In it, you should store every piece of feedback you get on your films, no matter how trivial it may seem. As similar comments start coming in, simply add a symbol next to the original note. This will allow you to measure what viewers notice in your movies, and give you a better idea of your strengths and weaknesses. It’s also a must-have accessory when editing your film and screening various versions, as it provides you with a checklist of all the changes you should consider. We’re all filmmakers here, and there’s no harm in admitting that we’ve collectively spent years drooling over insanely expensive gear. But until we can afford that, the best way to boost our production value is by attempting to achieve the best image and sound we can with our current equipment. The easiest way to set a goal for yourself is by going to YouTube or Vimeo and searching for your camera / lens / microphone etc. Among the first few results will doubtlessly be someone using that gear and making it look or sound ten times more expensive. That’s both the charm and curse of the internet. You can also look at advertising videos and films made by the manufacturer to promote the product. Canon usually partners up with great directors of photography to advertise their cinema camera line. Now having gained a pretty good idea of your equipment’s capabilities, you can try to replicate what you’ve seen until you understand how to get the best results from your gear. No matter whether or not you succeed, you should always put in enough hours so that your camera feels like an extension of your body. This way, you can save both time and energy on set, by knowing your limits and how you may surpass them. Although we seldom admit it, we all have free time: be it 20 minutes on the bus to work, an hour during a workout, or a few minutes before falling asleep. We can seize those opportunities to become better filmmakers. This is a tip, the value of which I had to find out for myself. I started my ‘career’ on a zero-budget philosophy, using free locations and props, along with unpaid actors and crew. While I spend thousands on cameras and mics, I’d never considered branching out in terms of spending, and its surprising benefits. I’m not telling you to immediately start spending more, but rather to consider what that might offer you. Simply consider every possible investment, because the thing that will allow you to make a better movie might be hiding right under your reluctance to spend the cash. Outsourcing work is always a difficult choice to make in the creative industry, because we tend to only trust ourselves with our vision. 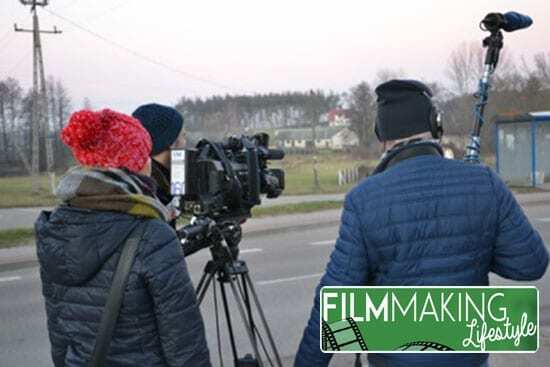 However, if our aim is to improve as filmmakers, we must be willing to take on a lesser workload that will allow us to focus more intently on our techniques. Consider working with a dedicated composer, colourist or director of photography. It can free you up from a lot of responsibility while bringing a new voice to the mix. If you’re looking for someone to work without compensation, you can ask around at local film and theatre schools. Otherwise, try using Craigslist or online freelance marketplaces like Upwork. You should also try different Facebook groups, which often host creatives from specific towns or cities, making your job easier by narrowing down the location of the candidates. Depending upon your filmmaking goals, a way to bettering your skills might be the expansion and variation of your work. If you’re principally a narrative filmmaker, try shooting a documentary. If you’re a commercial director, make a passion project. And if you’re a music video producer, film a silent short. Evolving away from your area of expertise will expose you to an entirely different way of telling stories, and thus push you towards learning different techniques and acquiring new skills. Ultimately, it will turn you into a more universal filmmaker, ready to take on any task. While film can be as poetic and beautiful as any art, it can also get oversaturated with blockbuster releases, entertainment ‘news’ and mass audiences. Nothing can provide a better break from that than another art form, preferably a more traditional one. In the words of Werner Herzog: ‘Read, read, read, read, read, read, read, read, read. If you don’t read, you will never make a great film’. Of course, the art form which you choose to study is up to you. I personally tend to prefer reading modern poetry, playing classical guitar and, most recently, directing theatre. Such experiences can fuel you with inspiration and new ideas, and help you appreciate film and the creative freedom which it provides. Few other artists get to use dialogue, colour, light, music and editing to tell a story. So it’s important to see how well they manage without those. A great motivator for us to continue to improve is a track record of our progress. Consider writing a journal, starting a blog or recording vlogs for YouTube. Anything that logs your experience as a filmmaker and your journey through artistic development should help you concentrate on your goals even more. If you don’t want to invest the time, you can simply rate your work from 1-10 in factors such as visuals, editing, direction, etc. in an Excel file and look at how you progress over time. Bettering your filmmaking skills isn’t a one-time achievement, it’s a lifestyle. Never stop improving, progressing and experimenting. When you reach the top of the list, simply go back to #1 and start over again. I hope this article on improving your filmmaking skills was insightful. Feel free to ask a question or drop me a comment in the comments section just below. Social shares are awesome, too! You can do that using the share buttons below this article. Thanks Matt! I really like the tip on “achieving more by doing less.” Think we can all learn a bit from that! Thanks for the comment, evaristo. Appreciate that.